I’m 3 years old and I live in Kingman, Arizona. I love playing with Barbie and dolls. I also like playing outside, watching Disney movies and playing with my cousins. My parents say I have many great facial expressions and the brightest smile! When I grow up, I think I want to be a surgeon and a police officer. When I was 2 years old, I was diagnosed with neuroblastoma. I love the simple and loving things we do with Candlelighters NYC. I love to go to Barbara’s or Amy’s house and just play pretend with them. I know they love me and I love them just as much. My parents say their favorite part of Candlelighters NYC is having a family away from home. We know we always have the support we need. New York can be scary when you are not from there but Candlelighters NYC can help you with anything you may need. 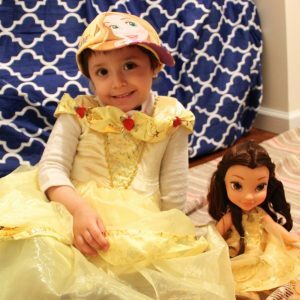 Click here to donate to Candlelighters NYC in honor of Natalie.